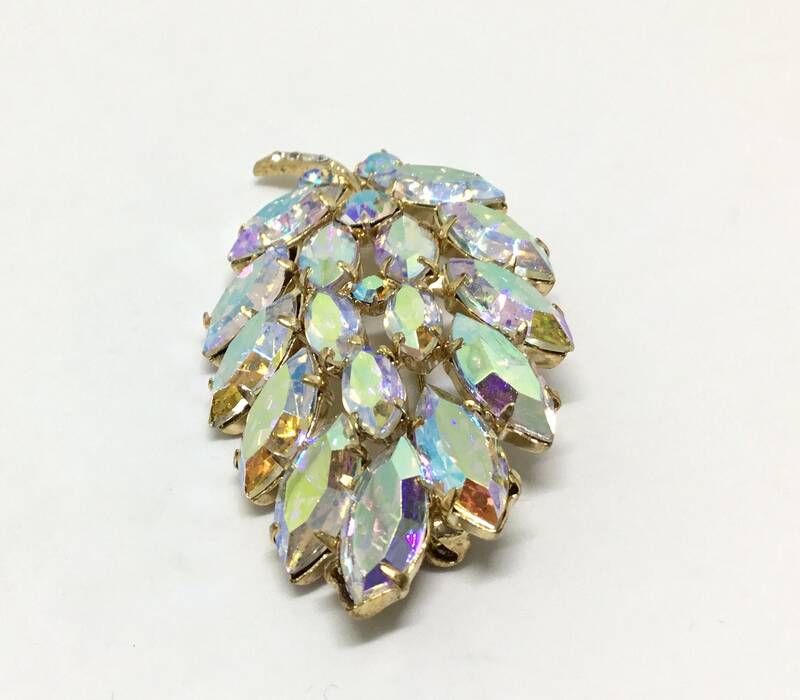 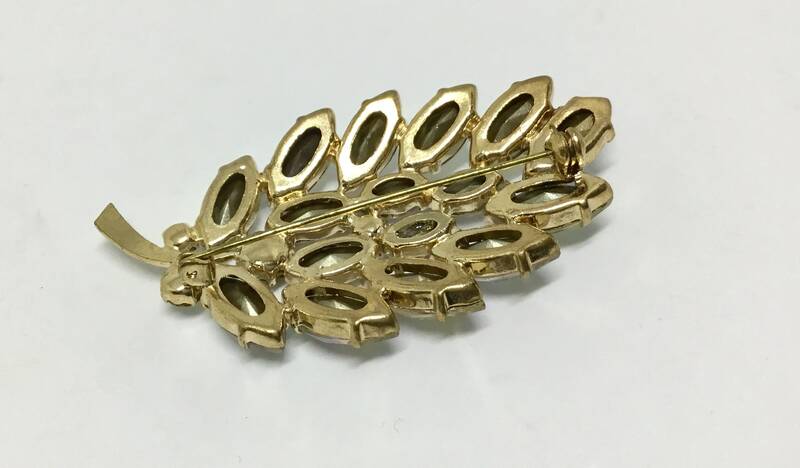 This is a vintage goldtone rhinestone leaf brooch. 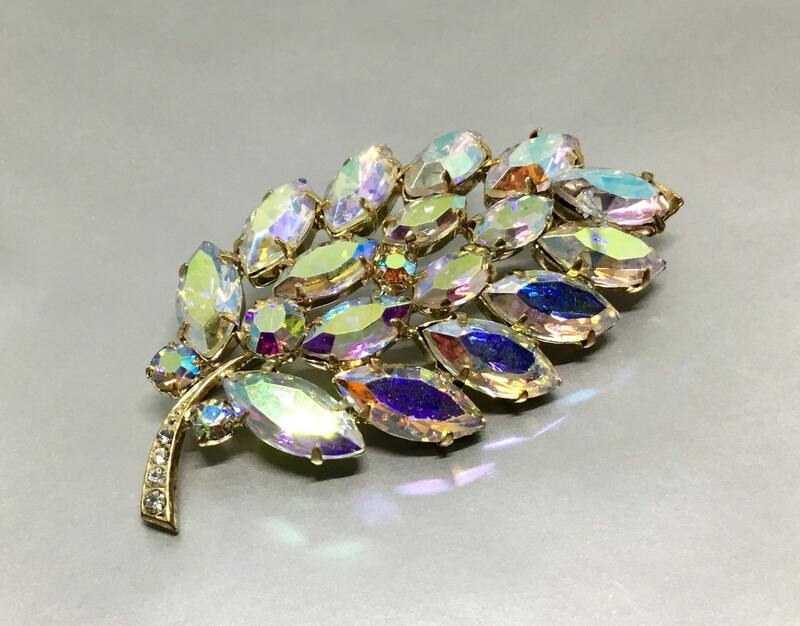 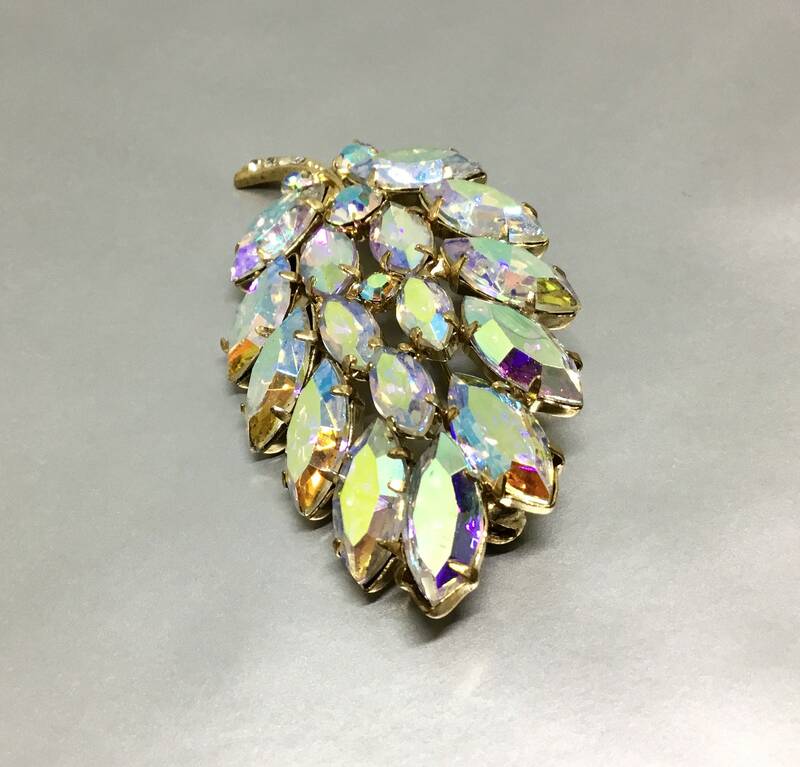 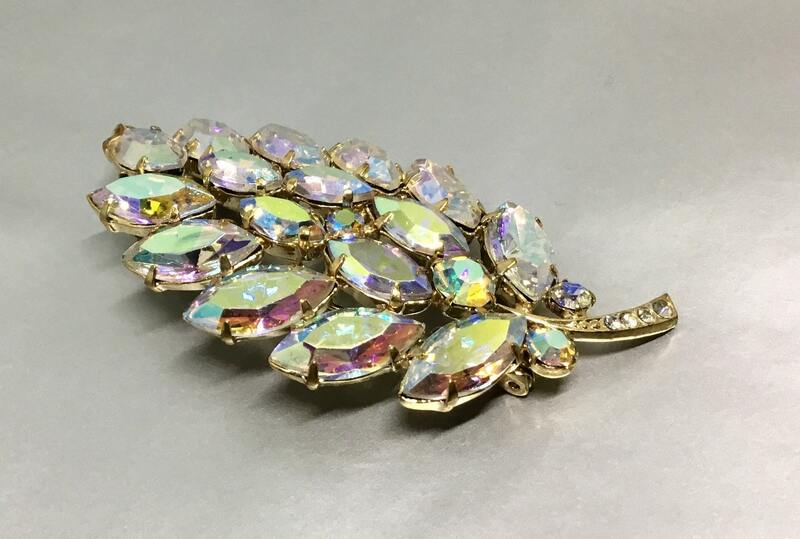 The sparkling Aurora Borealis openback navette rhinestones steal the show in this brooch. 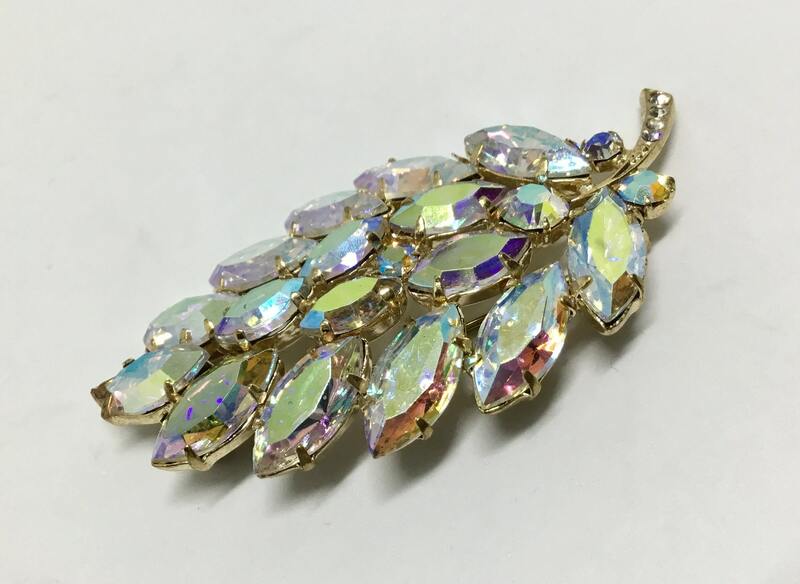 The openwork leaf has a stem with tiny rhinestones with four larger AB rhinestone accents. 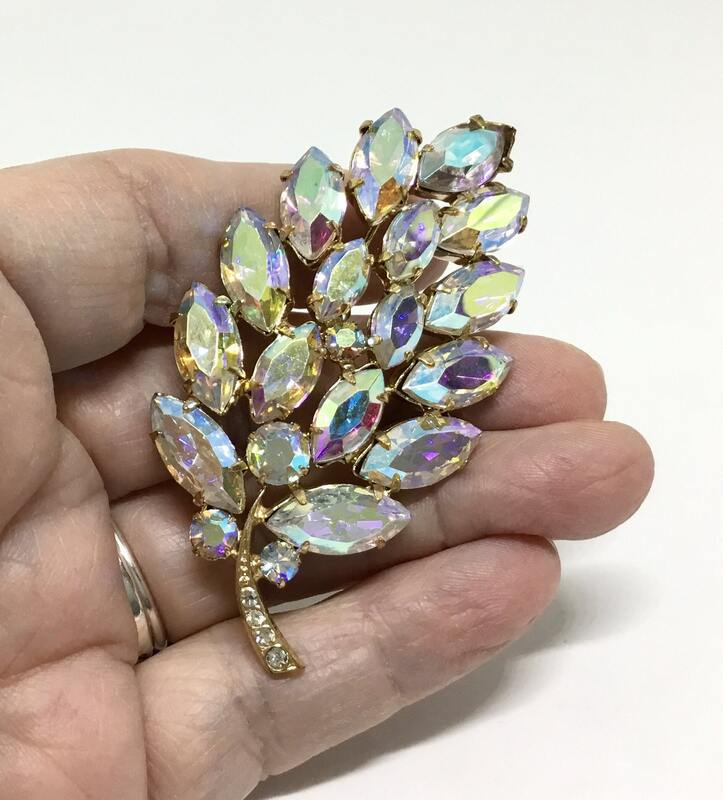 The brooch measures 2 1/2” x 3/8” and the pinback is straight and works smoothly and securely. 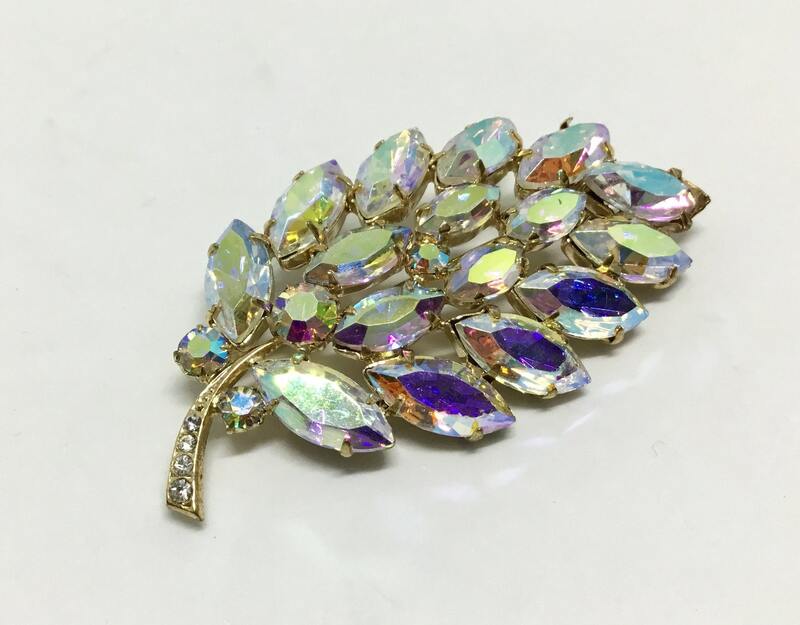 The leaf is is in excellent condition with the back showing minimal wear and the sparkly AB surfaces in excellent condition. 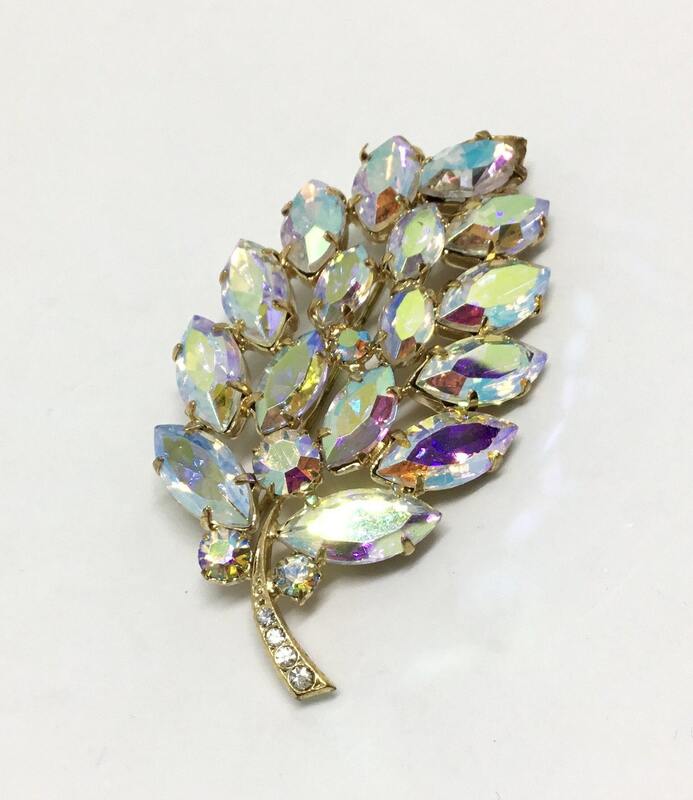 A gorgeous leaf brooch to wear and look glamorous and fabulous.